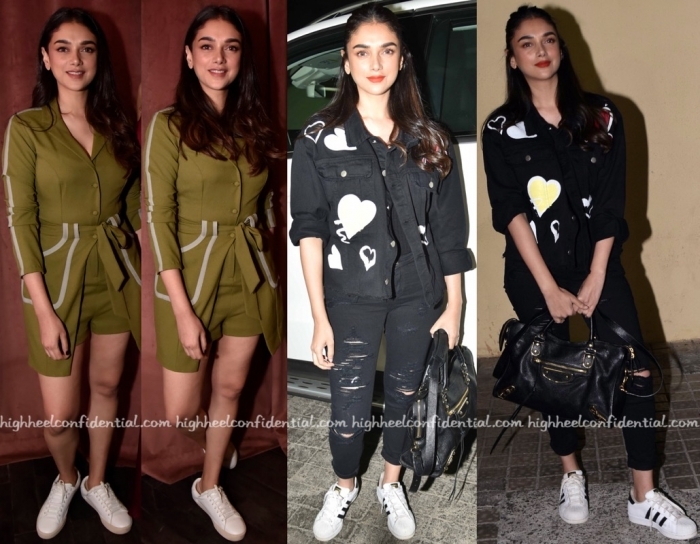 For her two recent appearances, Aditi kept things casual, whether in the olive Manika Nanda separates or the FancyPants jacket that she teamed her distressed denims with. Both times, she rounded out her look with sneakers. Think she wears the separates well?